We use a combination of field, greenhouse, garden and laboratory experiments to investigate the dynamics of insect-plant interactions from many perspectives, including behavior, evolution, ecology, physiology, and plant and insect chemistry. This research has its roots and context in efforts to understand how these interactions evolve and are maintained. Students are encouraged to choose projects that fit their own interests and complement ongoing projects. The ability of herbivorous insects to feed on plants depends on whether or not they can deal with plant defenses such as chemical toxins or physical deterrents. Our research focuses on how insects deal with these defenses and how these defenses might be "recycled" by insects to use in their own defense. The ability to sequester plant defenses will then influence their palatability to predators or parasitoids, as well as their ability to cope with pathogens such as bacteria and viruses. 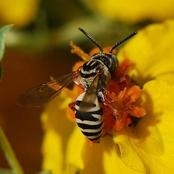 Plant production of such chemical toxins may also affect their interaction with mutualistic pollinators and fungi. Current research focuses on understanding the interactions between these different trophic levels and how these function in the ecology and evolution of communities. Recent renewable energy initiatives will incentivize the production of cellulosic materials for bioethanol production. Understanding the impacts of increased agricultural production on native flora and fauna will help land-owners make informed management decisions about their agricultural. Bees are key to ecosystem resilience because they are responsible for the pollination of many plants. Knowing how bees use agricultural landscapes can help us conserve remnant plant and pollinator populations while providing renewable energy. The ability to incorporate novel host plants into the diet of herbivorous insects has broad evolutionary ramifications including range expansion and speciation. 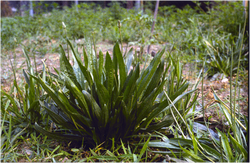 One of our current research projects focuses on Plantago lanceolata (Plantaginaceae), an introduced weed, that has been incorporated into the diets of many native North American herbivorous insects. We are investigating how this affects the insects that do this and how such a change affects the insects interactions with predators, parasitoids and pathogens. Related research investigates invasive plants and the biological control agents introduced to control them.